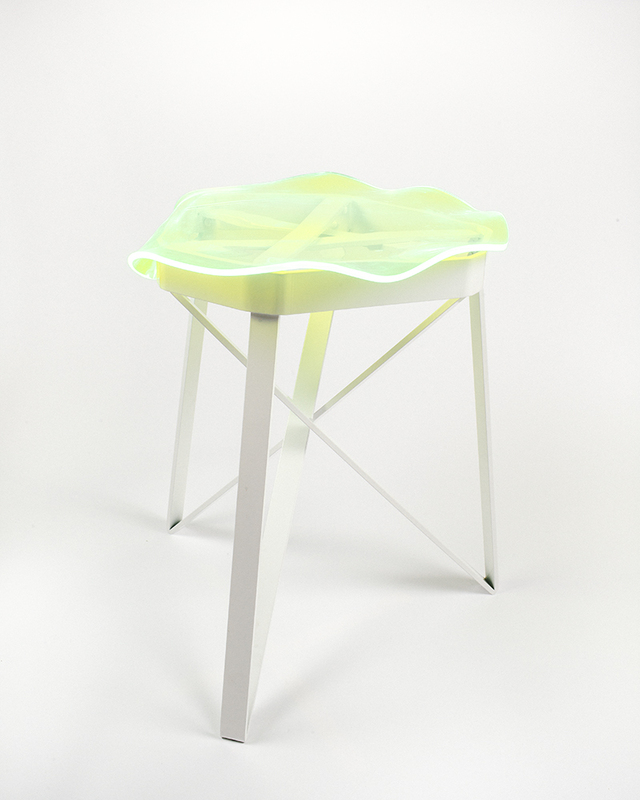 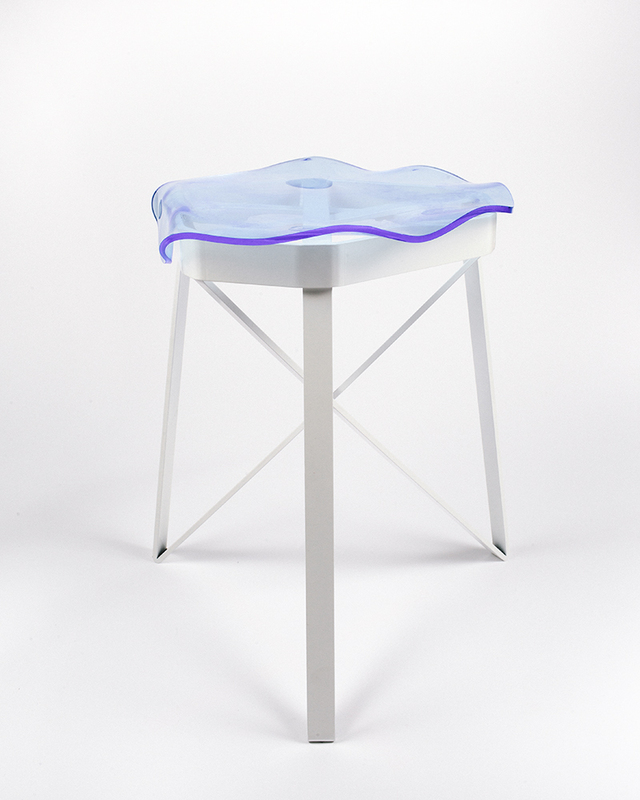 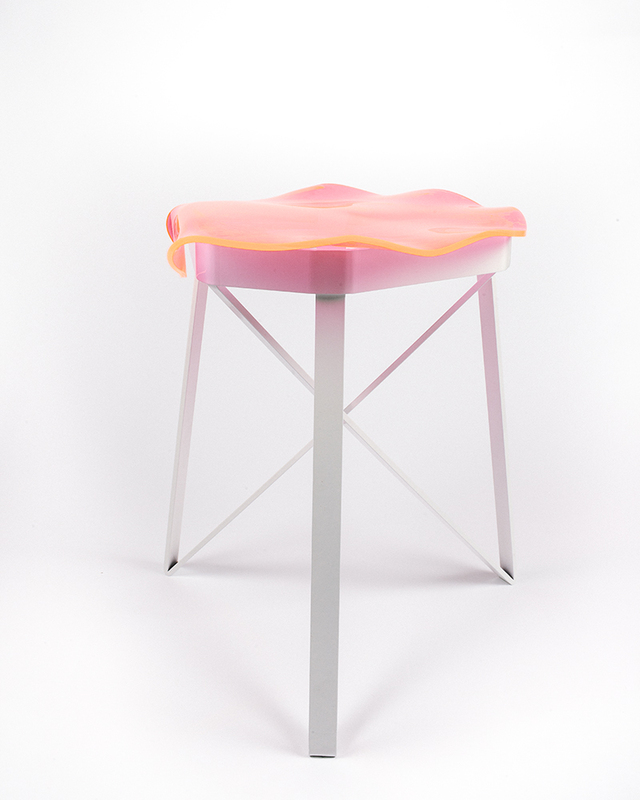 An aluminium stool with a molded fluorescent acrylic seat. 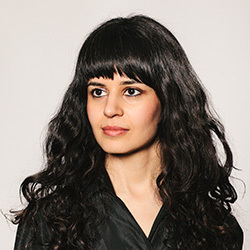 Born in Iran, Faranak Farhang is a product designer, trained as an architect at New York Institute of Technology. 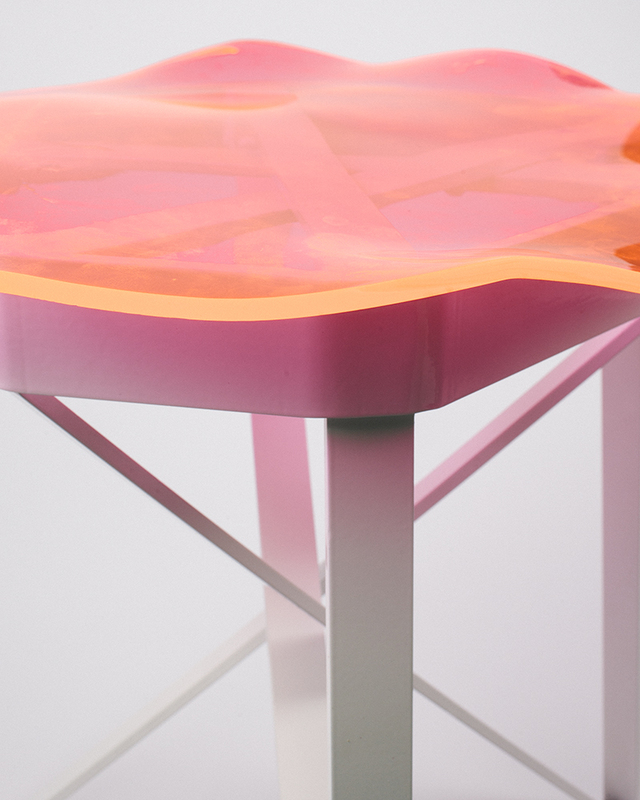 Her work celebrates and explores the hybrid of culture, craft, and technology in everyday objects with sensitivity toward reassessing our experiences.